You might not know me, but my name is Courtney Byelich – and for the last 3 years or so now, I’ve advised WUD Music. Often, upon finding out that I advise the students that book the bands on UW’s campus, the next question people ask is something along the lines of, “Wow. You must see a lot of bands. What’s the best thing you’ve ever seen? Who’s your favorite band?” And to that end, my answer is simple. My favorite program always and forever will be Open Mic Night. The Wisconsin Union’s mission, simply stated, is to help folks in the campus community make connections with one another. I might be biased, but I think that WUD Music is pretty good at this. We facilitate somewhere in the neighborhood of six concerts a week, of varying styles, genres, and instrumentation. We garner thousands of people each year, dancing in front of the stage, sitting back listening to the music, and clapping for their favorite performers. Open Mic though, takes all of this and puts the opportunity into the hands of our community members to provide entertainment, to learn from their performances, and to develop a local audience. For the last three years our Open Mic host, Martin Potter, has helped each of our performers do just that. Usually wearing his signature duck hat, Martin plays one song at the beginning of each set, and then facilitates the next three hours of music from anyone who wants to perform. From determining if the mics are positioned appropriately, to loaning out his guitar in a pinch, Martin has made sure that everyone who performs with us feels comfortable and welcomed. I’m sad to report that Martin is moving to California at the end of this Fall, and as a result, his last Open Mic Night as host will be on Wednesday, October 8th. In celebration of three great years of service as Open Mic Host, I’d like to invite you to save the date, and join us for some cake and a brief ceremony to thank Martin for donning his duck hat on our behalf. Woodsman, a psychedelic rock band from Denver, CO, will be bringing their spacey and eclectic music to The Rathskeller this Saturday night (February 1st). Their music is, all at the same time, perfect for thinking, studying, or jamming. Their live show is encapsulating, the seemingly perfect sound for the Rathskeller on a cold Saturday night in Wisconsin. The band is scheduled to release their newest self-titled album on February 4th, as well. Like their past records, it’s already gotten fantastic reviews. Check out the band’s website here, or get at them on Facebook or Twitter. Never miss another show again! WUD Music hosts multiple free live shows every weekend in Madison, both in Der Rathskeller and in The Sett. Sign up for our mailing list for updates on our concerts. …and we’ve got quite a few shows still in the works. Don’t miss it when we announce them. Join our mailing list today! Twin Peaks will be stopping by the Memorial Union on Friday, and we certainly expect them to bring their “boundless energy” with them. If you don’t recognize them at all yet, that’s all the more reason to show up and discover what the press seems to agree is the Midwest’s next big indie band. Their music is rabid, driving, and chaotic–a straight ball of energy. It’s also super catchy. They’ll be opening for Twin Peaks, and thus, getting the party started out right. As always, if you’re looking for free live music at UW-Madison and a great night out, make sure you check out the Ratherskeller at 9:30 this Friday. 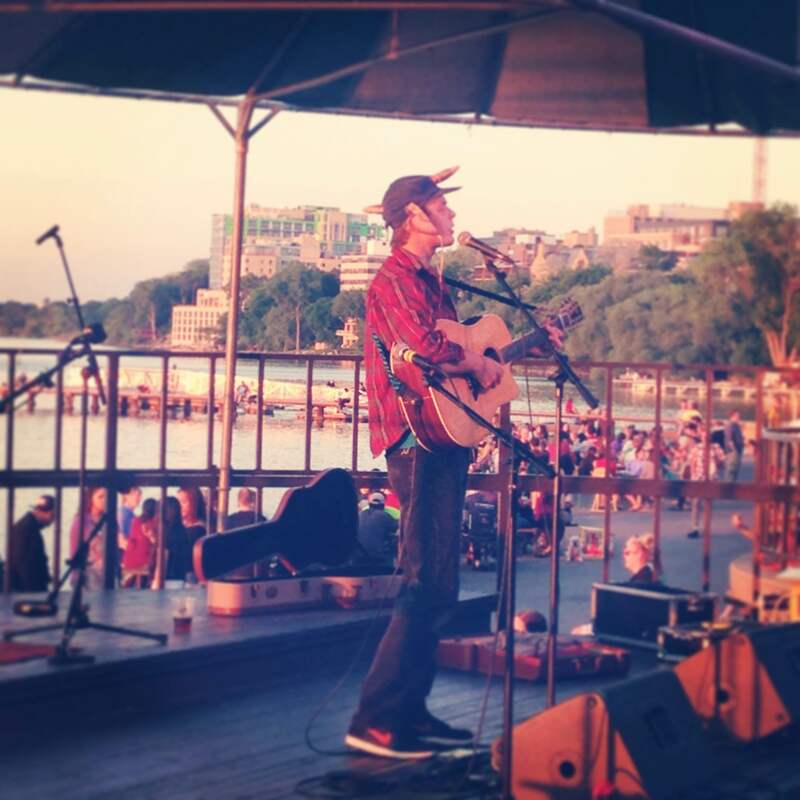 Saturday, January 29th, 9:30 PM at Der Rathskeller: Owen, solo project of Mike Kinsella, and Blessed Feathers. Jam Out This Friday with Undercover Organisms and Dave Bess! This Friday! JANUARY 28 at 9:30pm in der Rathskeller: thrilling, or rather, chillin’ Undercover Organisms with the funky Dave Bess. Undercover Organisms is a band based out of Milwaukee, Wisconsin. They list themselves as “Funk/Jam Band/Live Electronics” and claim to “rage your face off.” More electronic than a lot of funk music and more alternative than classic jam bands, Undercover Organisms is great music to sway to or to ease into the night. Undercover Organisms has songs ranging from short, light jams such as the song “Funky Spectrum” to heavier, electronic anthems like “The Wire”. The electronic buzz is a great addition to the reggae feel of their music, bringing in more than just funk-fans. Their real goal is to transport you to the jam band paradise in their heads. It’s quite a nice place. Dave Bess is the guitarist, lead vocalist, and ukulele player-extraordinaire of the band Public Property, gone solo. Bess skillfully produces a portable, musical Jamaica wherever he takes his ukulele strumming and soulful singing. He provides a faster paced complement to the chill sounds of Undercover Organisms. He blends his own influences with classic reggae; just try to not smile and bob your head at that ukulele. Just try. Mark your calendars for the biggest show of the year! Saturday, January 29th at 9:30pm in der Rathskeller get ready for Ted Leo of Ted Leo and the Pharmacists with opener Owen. Combining the experience of over 20 years with a fresh new record label, Ted Leo is ready to awe fans both old and new with his classic , yet groundbreaking punk rock music. Ted Leo himself explains that his new album shows that “even in an urban environment you can find a pastoral place to stir yourself.” Come find your happy place.